"We know Evans Cheruiyot is almost certainly going to run a scorching fast marathon sooner rather than later and we'd rather start the bandwagon instead of jump on it after it's already begun." 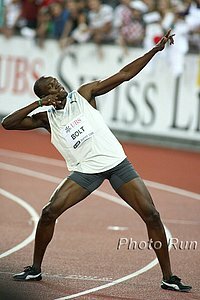 - LetsRun.com, writing in our Chicago Top 5 Countdown where we pick Cheruiyot, the man with the 10th fastest PB in the field, to win on Sunday. Agree or disagree? Discuss in our forum.